I spoke to Appcelerator CEO Jeff Haynie yesterday, just before today’s announcement of the opening of an EMEA headquarters in Reading. It has only 4 or 5 staff at the moment, mostly sales and marketing, but will expand into professional services and training. 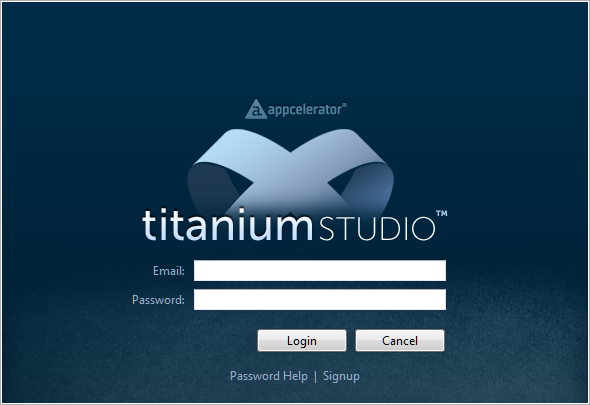 In November 2011, Red Hat invested in Appcelerator and announced a partnership based on using Titanium with OpenShift, Red Hat’s cloud platform. Another cross-platform mobile toolkit is PhoneGap, which has received lots of attention following the acquisition of Nitobi, the company which built PhoneGap, by Adobe, and also the donation of PhoneGap to the Apache Foundation. I asked Haynie to explain how Titanium’s approach differs from that of PhoneGap. The category has got a bit of a bad rap. We wouldn’t really describe ourselves as cross-platform. We’re really an API that allows you target multiple different devices. It’s not a write-once run anywhere, it’s really API driven. 80% of our core APIs are meant to be portable. Filesystems, threads, things like that. 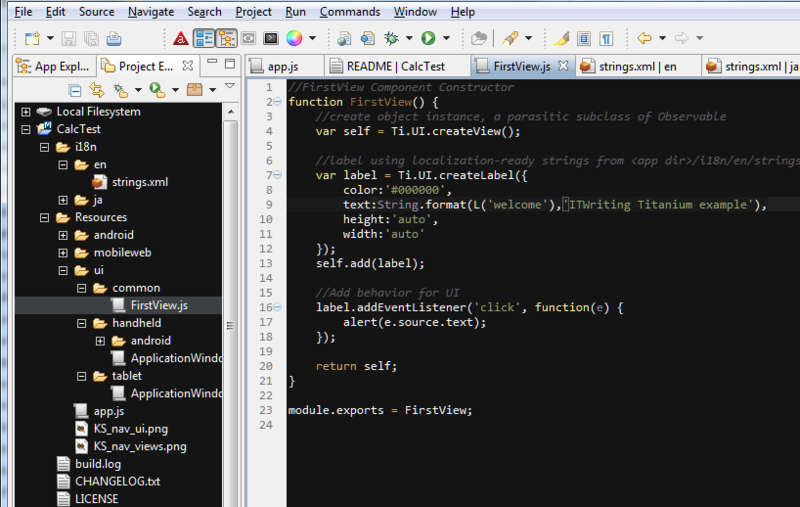 Even some of the UI layer, basic views and buttons and things like that. But then you have a Titanium iOS namespace [for example] which allows you to access all the iOS-specific APIs, that aren’t portable. I asked Haynie for his perspective on the mobile platform wars. Apple and Android dominate, but what about the others? RIM and Microsoft are fighting for third place. I would go long on Microsoft. Look at Xbox, look at the impact of long-term endeavours, they have the sustainability and the investment power to play the long game, especially in the enterprise. We’ll see Microsoft make significant strides in Windows 8 and beyond. Even within Android, there are going to be a lot of different types of Android that will be both complementary and competitive with Google. They will continue to take the lion’s share of the market. Apple will be a smaller but highly profitable and vertically integrated ecosystem. In my opinion Microsoft is a bit of bridge between both. They’re more open than Apple, and more vertically integrated than Google, with tighter standardisation and stacks. I wouldn’t quite count RIM out. They still have a decent market share, especially in certain parts of the world and certain types of application. But they’ve got a long way to go with their new platform. 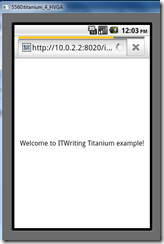 So will Titanium support Windows 8 “Metro” apps, running on the new WinRT runtime? Yes, we don’t have a date or anything to announce, but yes. I was also interested in his thoughts on Adobe, particularly as there is some flow of employees from Adobe to Appcelerator. Is he seeing migration of developers from Flex, Flash and AIR to Titanium? Adobe has had a tremendously successful product in Flash, the web wouldn’t be the web today if it wasn’t for Flash, but the advent of HTML5 is encroaching on that. How do they move to the next big thing, I don’t know if they have a next big thing? And they’re dealing in an ecosystem that’s not necessarily level ground. That’s churning lots of dissenting and different opinions inside Adobe, is what we’re hearing. We’re seeing a large degree of people that are Flash, ActionScript oriented that are migrating. We’ve hired a number of people from Adobe. Quite a lot of people in our QA group actually came out of the Adobe AIR group. Adobe is a fantastic company, the question is what’s their future and what’s their plan? FInally, we discussed web standards. With a product that depends on web technology, does Appcelerator get involved in the HTML5 standards process? The question prompted an intriguing response with regard to WebKit, the open source browser engine. We’re heavily involved in the Eclipse foundation, but not in the W3C today. 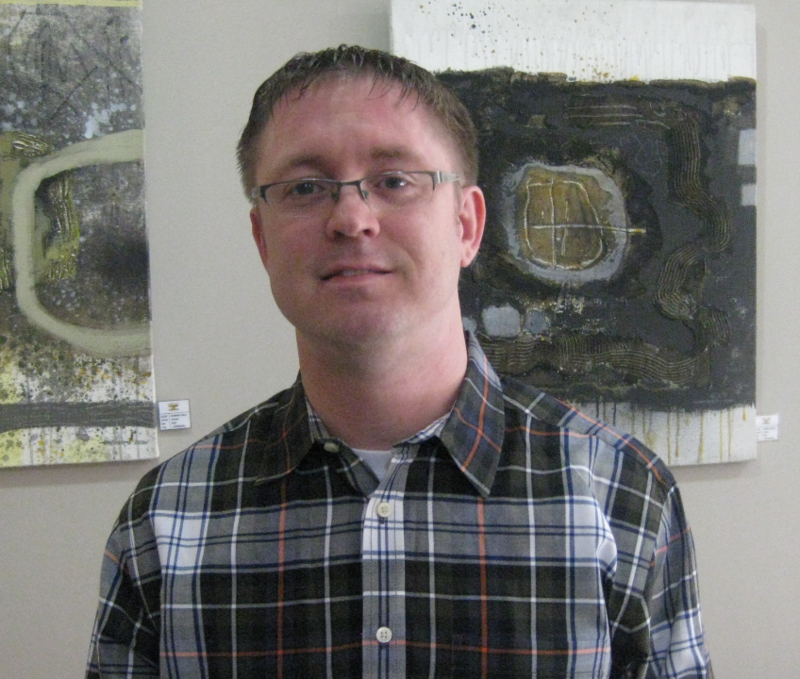 I spent about 3 and half years on the W3C in my last company, so I’m familiar with the process and the people. The W3C process is largely driven – and I know the PhoneGap people have tried to get involved – by the WHAT working group and the HTML5 working group, which ultimately are driven by the browser manufacturers … it’s a largely vendor-oriented, fragmented space right now, that’s the challenge. We still haven’t managed to get a royalty-free, IPR-free codec for video. I’d also say that one of the biggest factors pushing HTML5 is less the standardisation itself and more WebKit. WebKit has become the de facto [standard], which has really been driven by Apple and Google and against Microsoft. 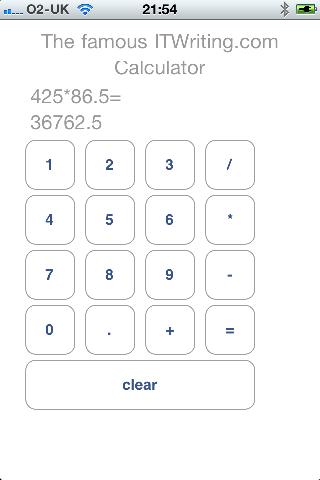 That’s driving HTML5 forward as much as the working group itself. 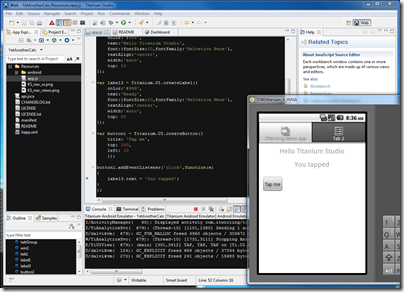 Appcelerator has released Titanium Studio, an IDE built with Aptana, the Eclipse-based IDE which the company acquired in January. 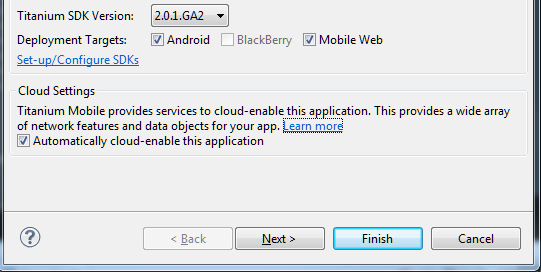 It is an interesting products because it lets you build cross-platform mobile apps for Apple iOS, Google Android, and Blackberry, as well as desktop applications. I downloaded the community edition and gave it a quick try. 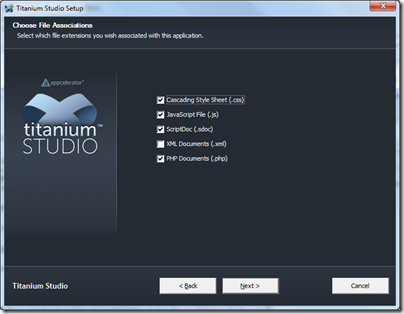 The download includes the Titanium SDK and is around 150MB. I noticed lots of Python scripts getting installed. The install completed and I was up and running. 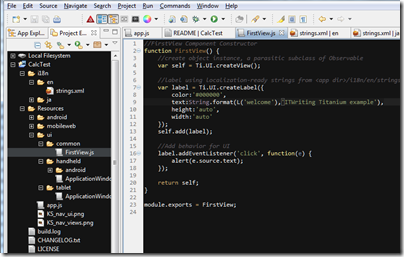 Running the IDE requires login, which seems intrusive. You can avoid this by going offline. I created a new empty Android 2.2 project and got an error on first run. Required jarsigner not found. Required javac not found. I fixed this by adding the JDK to the path and setting Java_home to the JDK; previously my Adobe CS5 install had set this to its own JRE install. 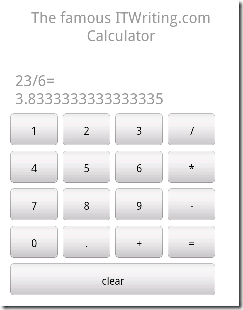 Next, I built a hello world application. It feels like a version 1.0 release. When I clicked Run it started the emulator but did not run the app for some reason. A second run after the emulator had opened worked. 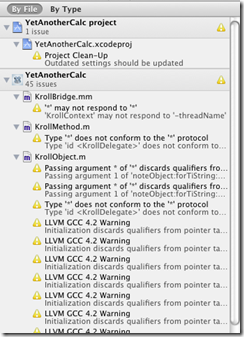 Code Assist seems a bit hit or miss. There it tooltip help for some keywords, but too brief to be much use, and pressing F1 is unrewarding. 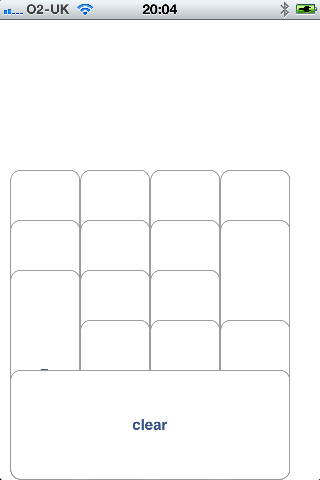 No visual GUI designer. Finally, and this is purely a personal thing, the editor has a black background – something I will be sure to change soon. Nevertheless, this is a step forward for Titanium and presuming the apps perform well I think it is significant and worth investigating. I’ve been reading the IDC/Appcelerator developer survey about their attitudes to mobile platforms. 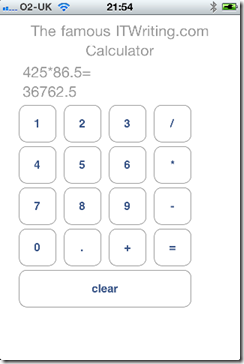 The survey covered 2,760 Appcelerator Titanium developers between April 11-13, so it is certainly current and with a sample just about big enough to be interesting. Apple shines, Google slows, and Microsoft edges RIM in battle for mobile developer mindshare. Is that a fair summary? It is not what I would highlight. 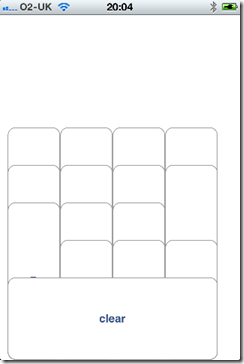 I cannot read the exact figures from the chunky graphic, but it is clear that the iOS figures are also fractionally down, maybe by just 1%, but hardly much different from the Android figures on a sample of this size. Both are pretty much flat. The figures for Windows Phone 7 and Blackberry are more dramatic; though we should at least note that Appcelerator Titanium is a cross-platform toolkit that does not currently support Windows Phone 7, and that its support for Blackberry is only in preview. That was true last time round as well, but I’m not sure that asking developers about their plans for a platform which the toolkit does not currently support is the best way to gauge overall interest. Another question that interests me: is developer interest a cause or an effect of a mobile platform’s success? A bit of each, no doubt; but personally I think the “effect” model is stronger than the “cause” model. Developers pick a platform either because they have immediate customers for apps on that platform, or because they think they can make money from it. Nurturing a strong developer community is definitely important for a platform provider; but I doubt it ranks as highly as other factors, like building a strong retail presence, delivering excellent devices at the right price, and focusing on usability and a good end-user experience. If you are interested in Appcelerator Titanium you might like to read my interview with the CEO at Mobile World Congress; and this discussion on whether Titanium really builds native apps. 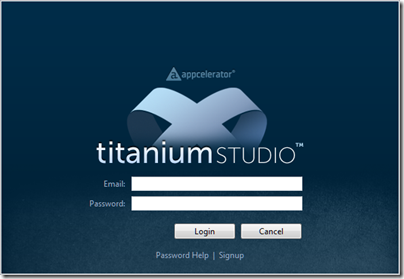 Is Appcelerator Titanium native? And what does native mean anyway? Of course we all know that Microsoft’s IE9 and the forthcoming IE10 are native – VP Dean Hachamovitch said so many times during his keynote at the Mix 2011 conference earlier this week. That has sparked a debate about what native means – so here is another interesting case. 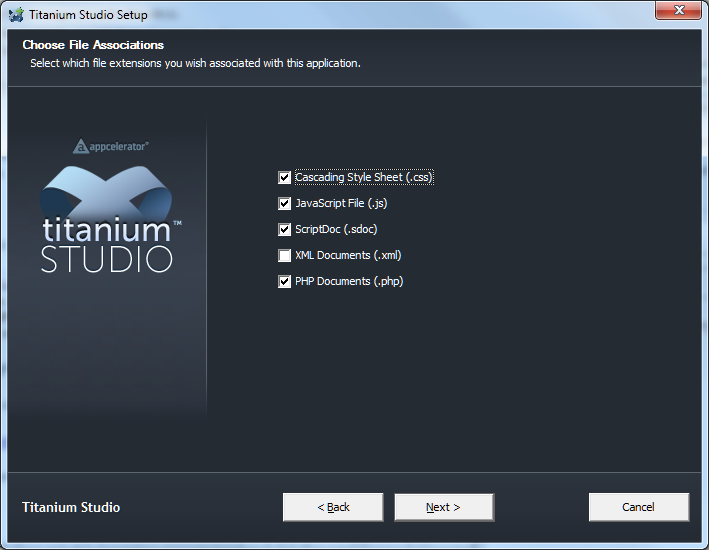 So a Titanium application is actually interpreted. 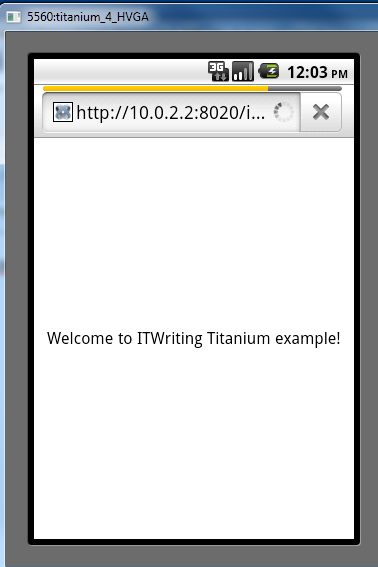 Titanium is also open source. 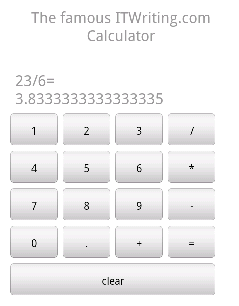 Anyone doubtful about how it works need only consult the code. 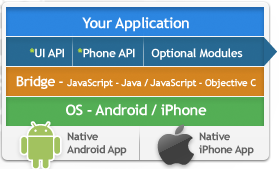 Build Native Apps … Everything else is basically a web page. The Android NDK is a companion tool to the Android SDK that lets you build performance-critical portions of your apps in native code. The implication is that byte code executed by the Dalvik virtual machine, which is the normal route for an Android app, is in some sense not native code. 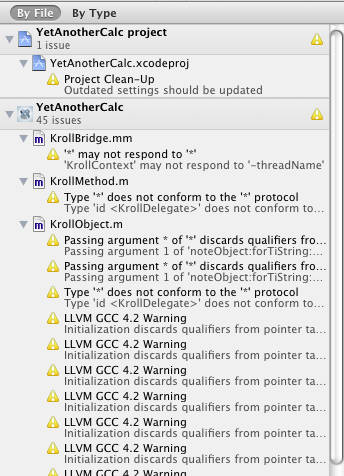 Which also implies that Appcelerator’s claims for Titanium are at least open to misunderstanding. Appcelerator is already doing well from the current surge of interest in mobile apps, offering an obvious solution to developers endeavouring to support both Apple iOS and Google Android with a single code base. Aptana looks a good acquisition; but the news may not be so welcome to those who rely on Aptana Studio for Adobe AIR; I imagine Appcelerator may see this as a competing platform. Then again, most AIR developers use the Flash IDE or Flash Builder so it is unlikely to have a huge impact even if AIR support is dropped (I do not know what the plans are in this respect). The server-side technologies like PHP and Ruby are a better fit, since many mobile apps have a server component. The company is expecting to release a joint Aptana Studio/Appcelerator Titanium beta in March 2011. The initial release will not include a visual designer, though this is planned for some future release.